Retail data collection, including merchandising audits, customer survey and competitor analysis, are also among the activities that are often being outsourced. On the one hand, when outsourcing retail data collection activities, a company can concentrate on manufacturing and distribution. On the other hand, using a third party for retail data collection may impact company’s bottom line due to the lack of control. Check out pros and cons of retail data collection outsourcing to choose which is better for your company: in-house or a third party retail data collection. In general, when you hire a third party to perform retail data collection for your company, you run the risk of poor customer service, lower levels of brand loyalty and drop in sales due to weak control of data collection activities and lack of cooperation between your management and a third party field team. If your goal is to ensure the quality of retail data, and you can afford to maintain your own team of field reps, opt for in-house retail data collection. Finally, the cost of in-house data collection will be paid back due to sales growth, as your products are sold better under the marketing strategy based on data-driven insights. Today there is a great option to reduce the costs of in-house retail data collection, which consists in adopting of retail data collection software. Software vendors offer comprehensive retail execution solutions, to automate store data collection, so every company can afford in-house merchandising audits, surveys, compliance checks, getting broad coverage of retail locations and real-time data from points of sale. 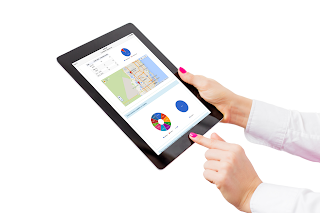 VisitBasis is up-to-date mobile data collection software that requires almost no time and resources to implement. After registration at www.visitbasis.com you get free access to our data collection software and will be able to organize your first automated data collection activity in 15-20 minutes. You will not incur any costs to hardware or training – VisitBasis Data Collection App works from browser (for office managers) and can be downloaded for free on Google Play and App Store (for merchandisers). Your team members can use their own mobile devices to perform data collection activities and you don’t have to invest in training, as VisitBasis Data Collection App is intuitive and user-friendly. Schedule a free online demo today, or find demo videos on our YouTube channel to see how it works.